Hello yet again, Tiny Expo committee! I’m back! Here's what I would plan to sell at Tiny Expo 2019. As always, all items are my own design and are printed by local Ann Arbor and Plymouth businesses. In case you want to know more about me, I'm an Ann Arbor based comic artist who has been creating a Shakespeare webcomic for the past five years. It is very possibly the most popular stick-figure Shakespeare comic in existence. It is also very possibly the only stick-figure Shakespeare comic in existence. 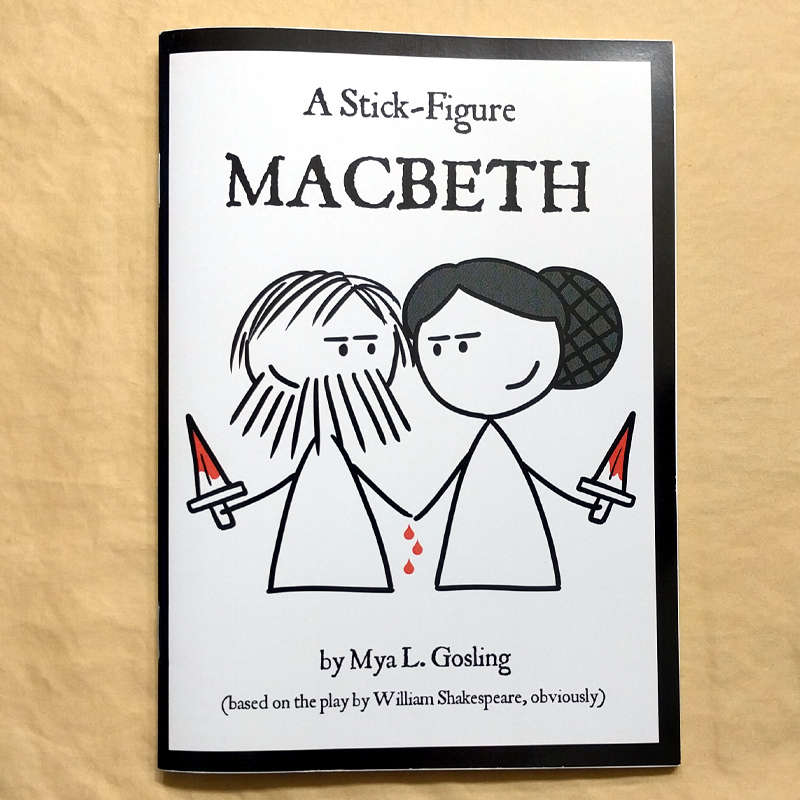 I currently have three comic books available: my best-selling The Complete Works of Shakespeare in Three Panels Each ($4.00), A Stick-Figure Macbeth ($8.00) and A Stick Figure Romeo and Juliet ($8.00). There is a chance I will have one or two other comic books available by December 8 (Twelfth Night and Julius Caesar are in the works). All comic books are printed by Greko Printing & Imaging in Plymouth, MI. 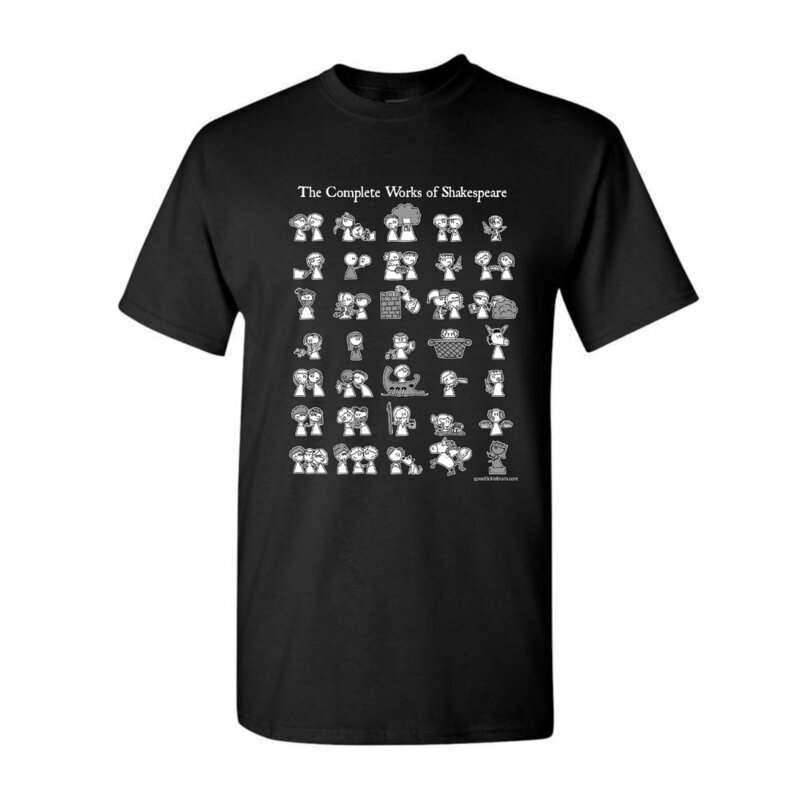 My classic "Complete Works of Shakespeare" t-shirt ($18.00) and my brand-new “Shakespearean Insults” t-shirt ($22.00) are available in a wide range of unisex, ladies, and youth sizes. All t-shirts are printed by Underground Printing in Ann Arbor, MI. I will have lots of pre-rolled and packaged copies of my Shakespeare flowchart poster. All posters are printed by Foresight Group, Ann Arbor, MI. There’s a slight chance I might add one or two extra products (perhaps a tote bag or mug) but for the moment, this is what I’ve got available. Thanks for your consideration!